Peanut butter cookies are Paco’s favorite, and I usually add chocolate chips to them for good measure. 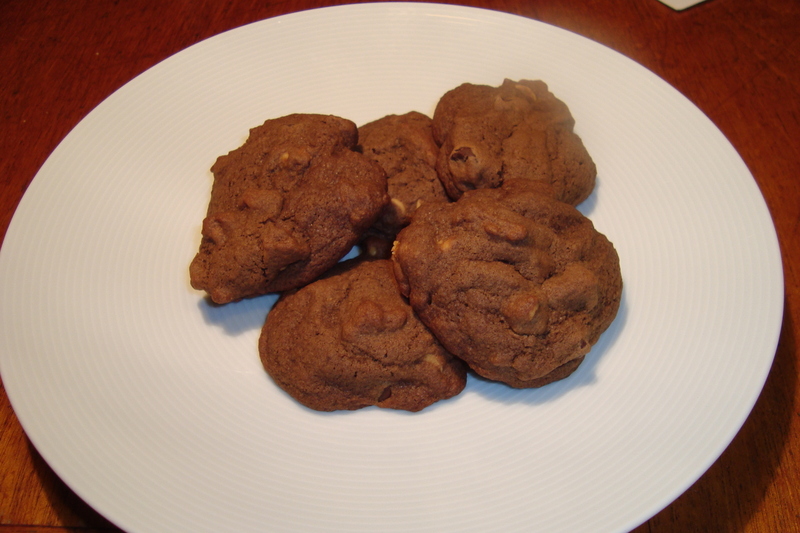 Today I decided to mix things up a bit by making chocolate cookies with peanut butter chips. The chocolately cookies are perfect with a glass of milk. Combine the butter, sugars, and vanilla until creamy. Add the egg and mix to combine. Add the salt, baking soda, cocoa powder, and flour, and stir until fully combined. Stir in the peanut butter chips. Line a baking sheet with parchment paper. Drop the dough onto the cookie sheet by rounded teaspoonfuls, two inches apart. Bake for 9-11 minutes. We went to our friends’ house for a barbeque on Sunday, and I woke up with the urge to bake a s’more pie. 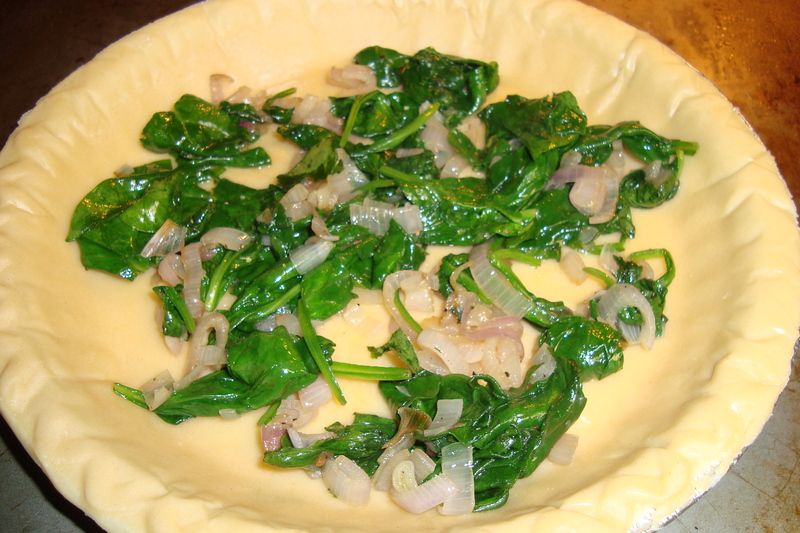 This pie has been on my to-make list for years. 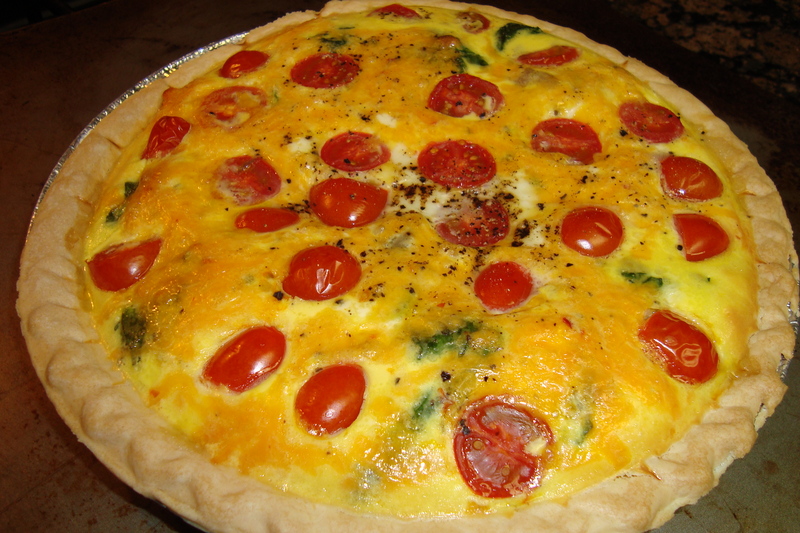 Unfortunately, I was missing several key ingredients, and at 7:30 a.m., I didn’t feel like a trip to the grocery store. What I did have were stale graham crackers, mini marshmallows, and chocolate chips, so I made a modified version of these deluxe chocolate marshmallow bars from Allrecipes.com. Using graham crackers instead of Rice Crispies made them more like s’mores and less like Rice Crispy Treats. They were a hit! They are not the prettiest of baked goods, but I love the chewiness that the marshmallow layer brings to them. 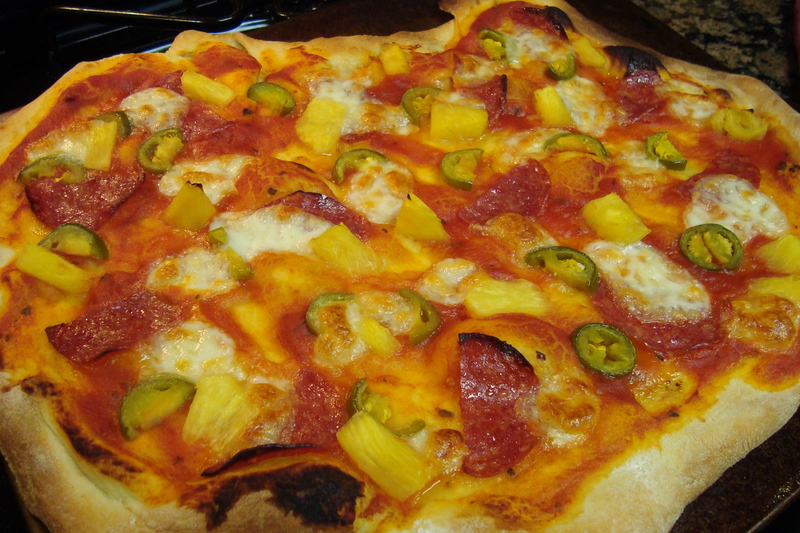 Preheat the oven to 350 degrees F. Grease a 9 X 9-inch baking pan. In a large bowl, stir together the butter and sugar until creamy. Add the egg and vanilla, stir to combine. 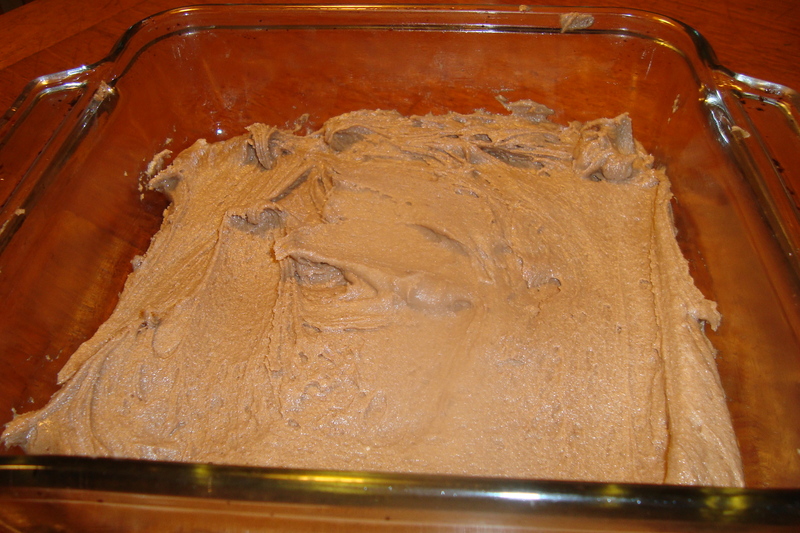 Add the dry ingredients (flour, baking powder, salt, and baking cocoa), then stir until the batter reaches a thick consistency and there are no lumps. Spread the batter evenly in the pan. 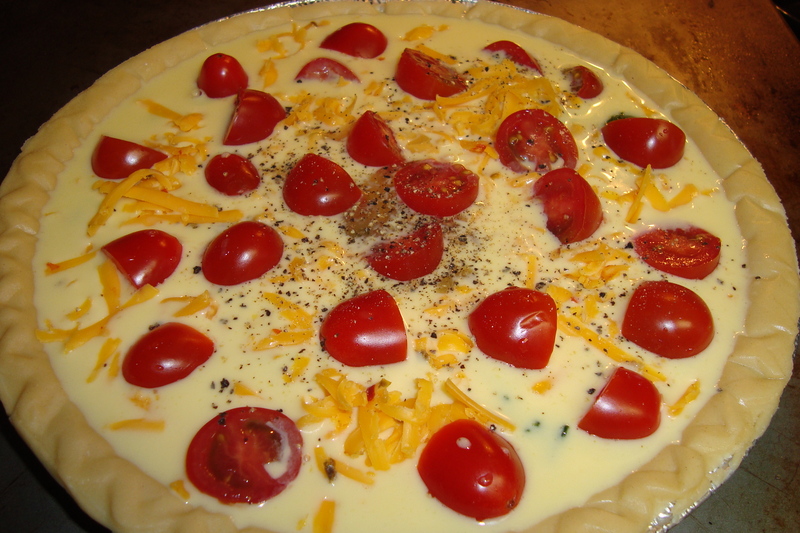 Bake for 18-20 minutes, until the edges of the cake are set, but the insides are still soft. 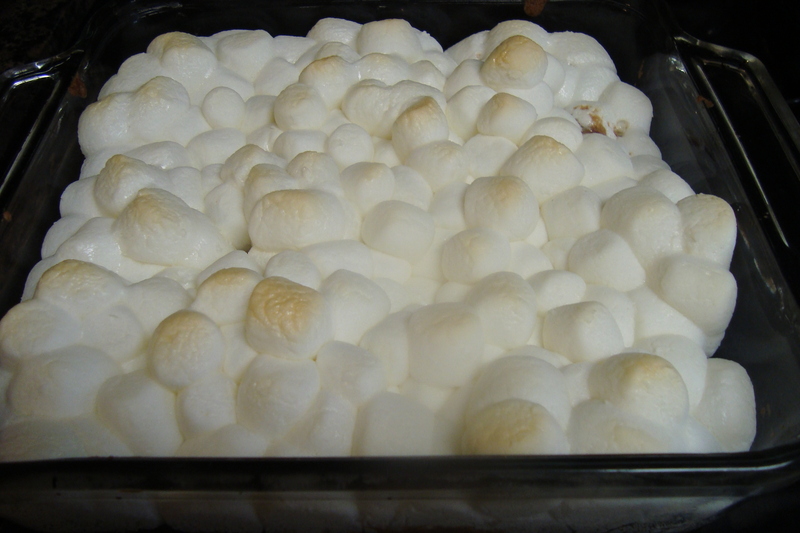 Remove from the oven and top with the mini marshmallows. Bake for an additional 3-5 minutes, until the marshmallows are a little bit brown. Remove from the oven, and with a knife or the back of a spoon, spread the marshmallows around so that they are more even. Allow to cool. In a small saucepan over medium heat, combine the butter, chocolate chips, and peanut butter. Stir until melted. Add the graham cracker crumbs and stir to combine. If the mixture seems too thick to be spreadable, add a touch of milk. 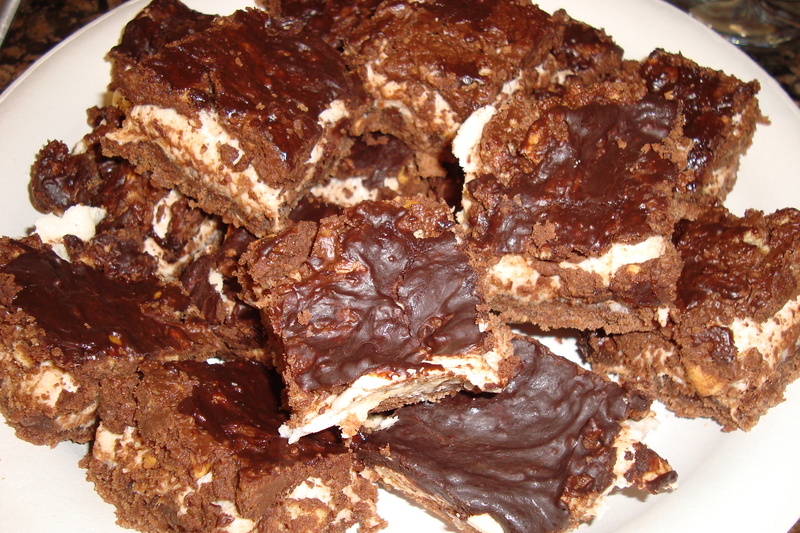 Spread the chocolate mixture over the marshmallow layer. Chill in the refrigerator until the chocolate has hardened. 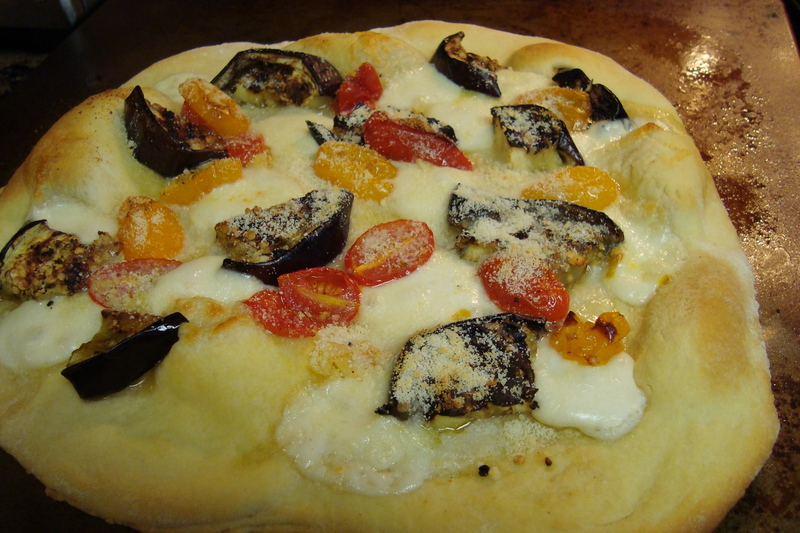 I have been craving pizza for weeks, and we picked up some burrata at the farmer’s market on Sunday, so we had to make pizza with it. 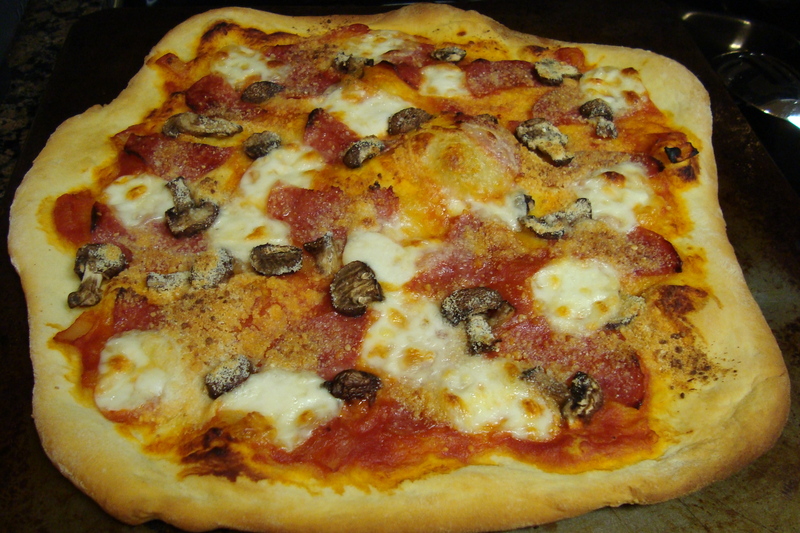 For the dough, you can buy some pre-made from the store. We used The Pioneer Woman’s recipe. I have tried others before, but they did not rise as successfully. To make the sauce, I simmered half of an onion (diced), 3 cloves of garlic, 1 large can of whole peeled tomatoes (pureed in the food processor), a pinch of sugar, salt, pepper, oregano, olive oil, and butter, for an hour. You can also use a jarred marinara. They were delicious! 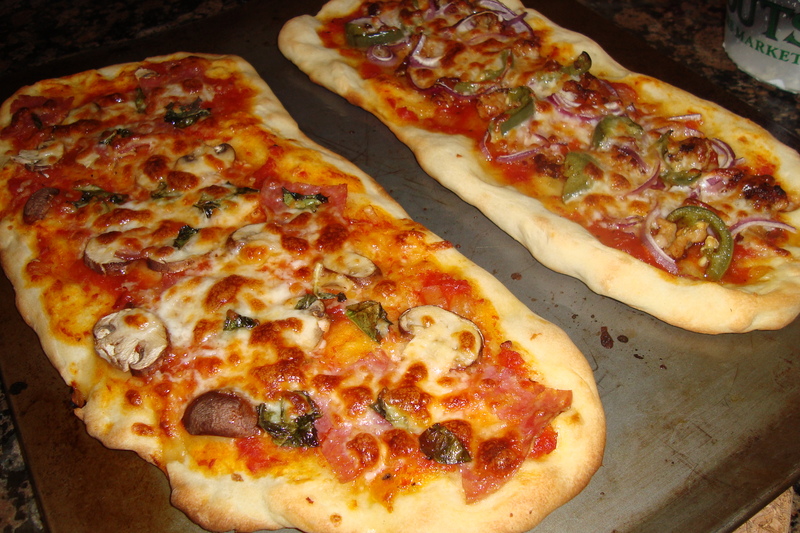 We love thin-crust pizza, so we baked them at 500 degrees for 12 minutes and they were crisp and delightful. 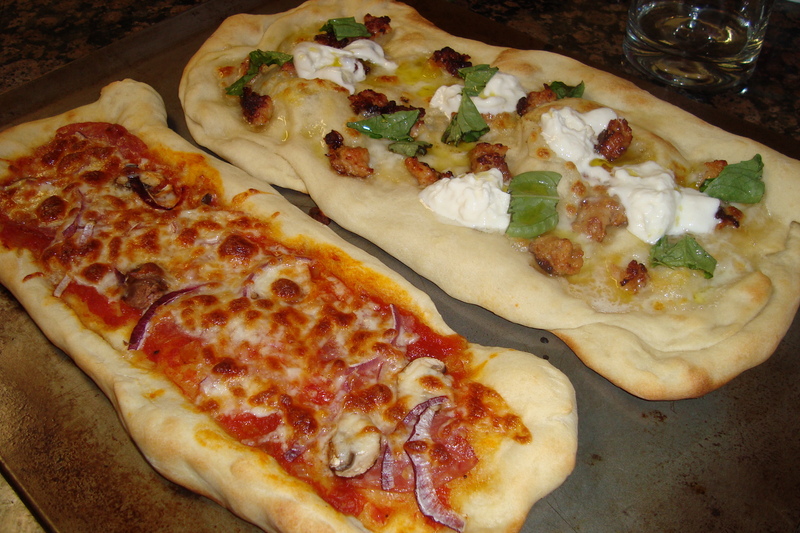 If you are making yours thin-crust, resist the urge to use a ton of sauce, cheese, and toppings. You will end up with soggy pizza!